Can you guess the mystery fruit? For the answer, you'll just have to go over to Wednesday Food Blogging, which you were gonna do anyway, weren't you, since it's Wednesday? It's Wednesday, so you know what that means. That's right, I hiked today and am beat. Then I came home and baked cookies for a bake sale, and I just posted a recipe over at Wednesday Food Blogging, so get on over there and see what else I've been cooking, and not just on Wednesday. Now I have to bathe the dog. In the cow pasture we hiked through she found a delicious smelling odor and decided to spread it all over her neck. My poor friend had to ride in the back seat with her on the way home. Yet somehow, our conversation centered on Thanksgiving food. I think the dog probably took that as a sign that we humans are reacting appropriately to her subtle scent signals. "I smell like livestock; they talk about roasting giant birds. Must try this again." Of course we're not having birds for Thanksgiving here, nor anything much at all. It's not a holiday here, and I have class. But if you're looking for something non-Thanksgivingy, try Open Lasagna with Butternut Squash and Spinach. See? Here I go talking about food, when there's a stinky dog under my desk. That's the smell of Wednesday. Hands Away of the Murderer Sausage! I noticed some hits coming into my site from a German forum called "antivegan" so I checked it out. My German is pretty rusty, so I translated the post linking here with the help of Babelfish. It begins "Hands away of the murderer sausage!" Then it links to this page, which you may be interested in if you are thinking of having a vegan Thanksgiving, sans murderer sausage. If only I'd come across this before I started my new food weblog; I'd have called it Hands Away of the Murderer Sausage! instead of Wednesday Food Blogging. Or HAMS for short. If you are ever bored and want something fun to do, go translate some German with Babelfish. So I wasn't completely lazy over the weekend. I started a new weblog, a sub-domain from this one. I've been meaning to split off my food posts for a while now, but I wasn't sure of the best way to go about it. But I had so much fun designing a banner for this site I wanted to do another, so here it is. First up is a post about my foodie adventures in Rome, or How I Managed To Avoid Eating Dormouse. Next I'll post the recipe I made last night, Butternut Squash Gnocchi. Bookmark it, or do whatever it is you do to find your way back. Although, every Wednesday, I'm sure I'll remind you to pop on over. PS You might have to refresh the page to get it to load properly; don't know what's going on with TypePad the last few days. You know how sometimes you learn a new word, and then you suddenly see that word everywhere? This week that word has been umami. It suddenly seems to be everywhere. Umami is the so-called fifth taste, in addition to salty, bitter, sweet and sour. It was discovered by a Japanese researcher, who named it "umami", which has no literal translation in English. "Deliciousness" has been suggested, as well as savouriness. This taste is triggered by the free (unbound) glutamates in food, which is why MSG—monosodium glutamate—enhances flavour. But you can get it in your food without adding MSG. Glutamates are found in protein-rich foods, like meat, fish and parmesan cheese, but they're also found abundantly in plant foods such as tomatoes and mushrooms, particularly the dried forms of these foods. It might, therefore, be a good idea for anyone transforming to a vegan diet to try to incorporate as many umami-rich foods as possible. Miso, tamari, dried mushrooms—all have intense umami tastes. Tamari, a type of soy sauce, is available at any Asian market. I've been using it for years instead of soy sauce, and now I know why it tastes so much better. Miso, when added to soup, enhances its flavor, as I discovered in this recipe. And if you've poured out the liquid after rehydrating dried porcini mushrooms, you've just poured out umami-rich stock that will add zing to whatever you've got simmering. But if you're a raw foodie, you may be missing out on something. Cooking processes, including browning, fermenting, and brewing, enhance umami-ness. Adding sweetness, such as sugar to tomatoes, also brings out umami flavor. More plant foods containing umami flavors include truffles, marmite, wine, and yes, potato chips. Even bread, with its gluten content and browned crust, will excite your umami receptors. If you want to learn more about umami, you can read about it at the Umami Information Center. For more on vegan cooking and umami, you can subscribe to Bryanna Clark Grogan's vegan newsletter here and read about it in her last issue. If you're really into umami, maybe you can join the Society for Research on Umami Taste. And if you've got time, you can read this long article with quotes from chefs familiar with umami and which includes umami-rich recipes. You might want to read it over some green tea, which, as you guessed, is rich in umami. Roman backlash at McDonald's. The Golden Arches are not welcome alongside the city's ancient arches. If you guys want to attract women, ideally you should raid the neighboring farm for desirable food and present it to her. Note to spouse: pick up bananas on your way home. Why do foods taste differently after they've cooled? New Scientist knows. Now, raise your hand if you would ever eat cold pizza for breakfast. So, why does spaghetti always break in three, and other useful science experiments. And if you're still bored, extract the iron from your breakfast cereal. We're all sciency today, aren't we? Today I cleaned out both my refrigerators. I'm thinking with Daughter Number Two gone, we could get by with one. The problem is they're both British-sized refrigerators, a little more than half the size of American fridge/freezers. And then where would I store my white wine? Oh well. It was a good idea. Now I'm cleaning my office. Can you tell I'm procrastinating? I don't know how British people manage with those tiny refrigerators. It's not much bigger than a dorm fridge, is it? By the way, this is what Daughter Number Two gets to choose from for today's meals. Should she go with the vegan ravioli at Cutter-Ziskind or the Mediterranean Night at Lamont? I bet she goes for the ravioli. A reason to go to Akron: No, not the downtown revitalization; Chrissie Hynde's new restaurant. A reason not to eat out in London. And then multiply those prices by 2.08 and you see why you are not reading restaurant reviews in this space. Global warming and your dinner plate: "In developed countries, people typically eat about 224 grams per day. But in Africa, most people only get about 31 grams a day." The Lancet, talking about meat. Meet Your Mystery Meat. Macrophotography at its best. Just how much of a jolt do you get from that soft drink anyway? You might be surprised; some of the citrus flavored drinks contain more caffeine than the darker ones. The Ridiculously Thorough Guide to Making Your Own Pizza, And this sounds like a great gadget to have. A moratorium on new fast food restaurants is on the menu in South L.A.
Tell me this is some sick kind of Canadian joke? "La Presse newspaper even reported that poutine (french fries smothered with cheese curds and gravy) will be cut from school cafeterias." No! Don't take away the poutine! The most surprising thing about the McRib sandwich. How meat producers are screwing you (if you are one of their workers). And too good not to add at the last minute: How to feed foreigners. If you're French. All summer I'd been wondering, with a sort of morbid curiosity, how my food purchasing and consumption would change when Daughter Number Two left home. I figured it would be almost as expensive and time consuming to make meals for two as it had been for three. I even wondered if it would be worth the effort—are readi-meals and soup packets in our future? It's been ten days now, and as I've discovered, my food procurement has changed drastically, but for the better. There's a locally owned grocery store in town, about a fifteen minute walk away. 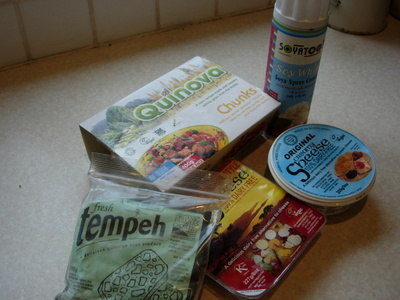 I used to go rarely; they don't carry a lot of the vegan and vegetarian products I use—no tofu, for example, so it was more convenient to drive to the Super Tesco, where I could visit the health food store that's inside the complex at the same time I stocked up on olive oil and cereal. But since I can only buy what I can carry home in my canvas shopping bag, I don't make as many impulse purchases. I buy produce I've got a plan for; no buying aubergines on spec. This means I end up tossing fewer veggies in the rubbish bin when I discover there just aren't enough meals in a week to cook everything I've bought. Plus, since there are many retired people in this town, this grocer carries small portions of broccoli, for instance. Just the right amount for my reduced-size family. This gives a new spin on buying local. I spend zero emissions walking to the store (or, once a month, to the farmers market that comes to town) and more produce ends up being used. I may end up getting one of those shopping bags-on-wheels people around here use, which means I could get one of those little watermelons they sell, or a large jar of olive oil. Ironically, my town has been embroiled in controversy for years regarding Tesco's plans to build a new store here. Against public opinion, approval for a 20,000 square foot store was granted, but then the tunnel over the train tracks collapsed a couple of years ago. Recently Tesco received approval for a new plan, for a larger store using a different tunnel method. (The same company that built the Chunnel is building this one.) The locals hate the thought of Tesco coming here, but I'm actually in favor of it—it will allow me to buy much more of my purchases locally, including the vegetarian products Fisher's doesn't stock, and Tesco sells much more organic and local produce. But that's a long way off. Meanwhile, I'm enjoying procuring less food, with less emissions (from my car, silly!) than ever before. The best foods men aren't eating, including this. Mark Bittman does Everything veg. Also for men: What you guys should eat every day. Except be sure to watch this before taking the advice in number 7. And Best Life says men should eat these 8 foods every day. Looks like meat prices will be going up. Try this instead. Except for the misleading headline, this is a good article, especially now that blackberries are ripe. Cilantro pesto, an idea whose time has come. Last week we had wall to wall coverage of foot and mouth disease, whereas this week it's more like raggedy rug coverage. But now we have an outbreak of the far deadlier e. coli, which has already killed a woman in Paisley. And the list of animal diseases continues : We're bracing for bluetongue which is expected to arrive from the Continent any day now. Don't believe what you hear about McDonalds. One couple have been eating there every day for 17 years, and lived to tell the tale. 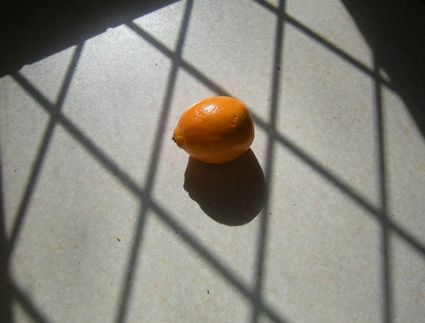 Elizabeth Edwards has given up tangerines. She should do the math first. Paperback Writer has a nice allegorical response to the letter that I linked to the other day. It involves a bakery, so it's food news. Homemade soda pop. I like me a good glass of root beer occasionally, served over Swedish Glace ice cream. This list of Top Ten Vegetarian Friendly Ball Parks almost makes me wish I were a baseball fan. Foodie posted a video explaining how they animate food. Check out this factory farm map. Looks like Rhode Island is your best bet. This article has a very corny headline, yet it actually contains useful information for people worried about their eyesight. A church mission to Honduras, the second poorest country in the Americas, reveals how nutrition can make a difference. The Food Packaging archive, via U.S. Food Policy. And more good stuff here. Sorry, I've been out of my office due to the decorators* placing big sheets over the contents of my office, including my computer. But it's never too late for food news. Did I say food news? I meant dog news. Take a close look at the photo. That dog with the lead in her mouth is my dog. She's got the big head now. She wants me to take her to San Francisco to meet her fans. Yippee! The truffle harvest is up! In even better news, Harvey Nicks is to stop selling foie gras. I bet you never thought I'd post an article entitled "Good news for bacon lovers!" If you want good food, you should go somewhere else. The big environmental/food news this week: Walking to the shops damages planet more than going by car. That was easy to figure, if you know how damaging eating meat is to the environment. And drinking milk is almost as bad. Stay home, or eat soy instead. In praise of slow eating. My god, is it really this hot? Possibly I'll post a recipe later, for those of you who are alarmed by the beef shortage at your local supermarket. But it's hard to type when your blood alcohol level is past the legal typing limit, your contacts have been in too long, and your dog has the big head and thinks you should cater to her every whim. *decorators = a euphemism used to refer to painters here. It's Summertime, And The Food News Is Hot! On a whim, I searched for a grocery list tool that I could use to computerize grocery list making. I found one that's an add-on for Firefox. I'm testing it out here at Chez Flake—today when Firefox locked up I lost the entire list, but other than that it seems reasonable. If you have another grocery list tool that works for you, let me know. This is just gross: The menu this week at Camp David. No wonder there were polyps in the presidential colon. But it gets worse: Foodie reports that Shrub's favorite meal is cheeseburger pizza. And here's another scary pizza. Foodie also has the scoop on plastic wine bottles. But you probably shouldn't be drinking a glass of wine every day anyway. Ever wonder how the famous vegan caterer Tofu got started? Albion Cooks interviews the proprietor of What The Hell Does A Vegan Eat Anyway? That's where you should go if you're wondering what the hell a vegan eats. Anyway, Urban Vegan shows us how simple the vegan lifestyle really is. She totally rips off Mark Bittman's NYTimes piece on summer eating with "summer express :: 101 simple vegan meals ready in 10 minutes or less". Cool. I think I was ranting once about how they (you know, "they") should come up with easier ways for those of us with brown thumbs to grow our own. Well, looks like they have. See? I told you. Food news is hot in summertime. And here's a video in which Dr. T. Colin Campbell discusses the Weston Price Foundation. The news media is all over this: Dietary hopes dashed for breast cancer patients. Well, not exactly. The study says that women diagnosed with breast cancer who increased their intake of vegetables had about the same recurrence rates as women who did not. But, the women didn't exactly follow the diet. Yes, they increased their intake of vegetables, but they did not, as directed, reduce their overall fat intake. That's probably because they were not told to stop eating meat and dairy, which are high in fat, making it virtually impossible to stick to a 15-20 percent fat intake. Yet the media jumps all over it, causing sales of veggies to fall worldwide. Or something like that. Quit paying so much attention to these over-hyped one-off studies, folks, despite what you read here. Nutrition really is complicated. Yet my best advice, having followed nutrition news for years, remains: Eat lots of different colors. Here, for instance, is a similar study on 3000 women with slightly different results. Or maybe the dieters were just eating too many cheap sausages. But you might want to watch this video, that is if you're still in grade school. Again, via Avedon, the World's Best Candy Bars. Except as she says, it's all a pack of lies. British candy bars are crap. If you've ever eaten the dried-out and very flaky Flake bar, you know what I mean. The others are no better. But here I disagree with Avedon; it's not Swiss bars that are the best, it's German. Cheese prices are soaring. They've actually broken the 2000 pounds per tonne mark. Remarkable. The real story here is not that pre-packaged sandwiches are high in salt, it's that there's such a thing as the British Sandwich Association. How would you like to be a cow flatulence researcher? Although turning your peanut butter into diamonds seems like a better use of your time. Bacon mints? That's almost as bad as sushi air freshener. The Peanut Butter and Jelly Campaign asks "Who knew it was so easy to change the world?" One peanut butter and jelly sandwich at a time. Manna, but not from heaven. Gordon Brown's new Environment Secretary, also in charge of farming, is a 35-year vegetarian. This is news to me, and good news at that: diet can prevent skin cancer—"A higher consumption of the vegetable and fruit dietary pattern appeared to decrease SCC tumor risk by 54%." I always figured skin cancer was the one cancer that wouldn't be influenced by diet, and it's sadly the one my previous bad behavior makes me a target for. But there's bad news for Prince Charles, who, along with the head of the Soil Association, lost his contract with Sainsbury's to supply carrots. Apparently they weren't pretty enough. The carrots, I mean. If you're celebrating the Fourth, here are some delicious recipes, courtesy of SusanV. Reporting back: Yesterday someone asked if Soy Delicious was available in Britain. I didn't think so, as I've never seen it, but I knew I'd seen Tofutti Better Than Cream Cheese, so I googled around and discovered the distributor of Tofutti here, Triano Brands, also handled Soy Delicious. However, upon inquiring, I was told they no longer distribute SD, due to logistical issues and the high cost of distribution. Sad. But they do still distribute Tofutti, though I haven't seen the ice cream products anywhere. Rainy Saturday at Whole Foods on Kensington High Street. 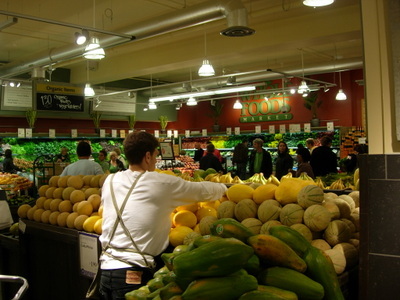 A Whole Foods Team Member restocks the melons. My vegan loot, including price-your-own tempeh. If you've been watching Wimbledon, you know my outings lately have been rained out. On Saturday, facing another forecast deluge, we headed into London, where you can visit the Natural History Museum and the Science Museum sans umbrella, via a pedestrian subway from South Kensington tube stop. Conveniently, the new Whole Foods is located not too far away, on Kensington High Street. 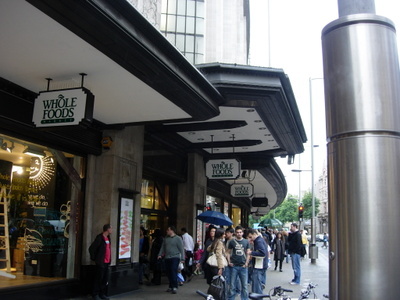 Let's face it, it was not the thought of moldy fossils or ancient computers that brought me into London on a rainy Saturday, it was the opportunity to roam the aisles of a well stocked American health food store. Let me clarify: to me, U.S. stores such as Whole Foods, Wild Oats, and Vitamin Cottage (in the West) are not grocery stores; they're health food stores on growth hormones. They're a necessity for vegans and vegetarians, who can't find dairy and meat alternatives at regular grocery stores like Kroger and Safeway. (That's getting better, but the selection of vegan products is still minimal at most supermarkets.) Stores such as Wild Oats and Whole Foods offer bulk foods, where you can bag your own nutritional yeast, wheat gluten, aduki beans, or dozens of other exciting products. They stock more than one brand of seitan and tempeh, which offer vegetarians intriguing variations on tofu. These enhanced health food stores not only carry a wide variety of health supplements, teas and herbs, they also sell cosmetics and lotions which are far better than the perfumy products available at department stores. There are plenty of health food shops in Britain, but they're tiny, containing about two short aisles each, and, if you're lucky, a refrigerator/freezer case. When I asked for tempeh at one, the clerk had no idea what I was talking about. When I asked for gluten at another, the clueless clerk first directed me to the gluten-free products, then called over a manager, who told me health food stores in Britain were about five years behind HFSs in the States. More like ten, I thought. There is some consolation: there's usually a pretty good supply of meat alternatives at regular grocery stores, that is if you like Quorn, which is not 100% vegan. Stores like Tesco and Sainsbury's have their own range of vegetarian products and ready-meals, which I suppose are a great benefit to vegetarians who haven't learned to cook yet. But I shop regularly at the largest Super Tesco in the UK, or at Waitrose, considered the most gourmand of all the grocery chains, and they cannot begin to compete with even the smallest Wild Oats. Us crunchy granola shoppers are looking for something other than organic beetroot and Quorn patties. Up to now, I've had to satisfy my HFS cravings during trips to the U.S., where I stock up on products I can't find here, or at least can't find at good prices. (The hyaluronic night cream I buy at Whole Foods for $25 is a fraction of the cost it would be here, for instance, and it prevents me from looking like one of those fossils at the museum.) Unfortunately, I can't bring refrigerated products home with me on the plane, so there's been no tempeh on my plate in ages. Now you understand why I couldn't wait to dump the teenagers at the IMax and head down Kensington to a real health food store, albeit a rather upscale HFS, complete with handmade tarts and a liquor license. It's located in the old Barker's department store building, which was like M&S without the excitement. (That's sarcasm, for those of you not familiar with M&S.) I found my heart beating faster as I withdrew cash at the bank next door: I could already smell the familiar Whole Foods aroma, which got stronger as I entered the doors. That was no doubt due to the main floor bakery, oozing its yeasty odor toward High Street, but there's also that unmistakable crunchy-granola scent that can't be masked by stinky limburger and sustainably sourced fish. I breathed it in, like a wild animal sensing its natural habitat in the concrete jungles of London. There are three floors of goodness. The ground level houses the bakery, the cheese shop, the wine shop, and the deli, salad bar and hot food bar you're used to at Whole Foods. I sniffed around the main floor, grateful the stinky cheese shop was nearly contained behind a glass wall, and then headed downstairs, where the promised produce was located, along with all the provisions you'd normally find in Whole Foods. There was far more produce here, in quantity and variety, than the recently refurbished Waitrose where I normally shop. It was far more attractive, and better lit, than at Super Tesco. There were more heirloom tomatoes than at Borough Market, and to my shock, it was all competitively priced. 15p for a lemon? Bottled water under a pound? £1.99 for two punnets of raspberries? At this rate, I'd leave with cash in my pocket, not to mention my paycheck. There was a selection of bulk foods, though sadly, not as many as you'd find at a U.S. store. Most of the dry goods were British or European products, though I noticed they carried the Amy's line of frozen foods and soups, and several Mexican (and New Mexican) food items I hadn't been able to find here. There were some surprising inconsistencies: only one brand of tahini? Prices on items that the supermarkets carry, like Seeds of Change organic soups, were generally about 10% more than at the suburban shops I frequent. But that's true of anything you buy in London, where rents are twice what they are in Slough. I found items I'd never seen before: Soyatoo whipped "cream" in a canister, and the Sheese non-dairy cheese everyone is talking about. I didn't see any seitan, though there were several meat alternatives, unfortunately of the already-flavoured variety, which seem to be more popular here. I prefer using the raw product to make my own dishes. At first I didn't see any tempeh either, but when I saw a Team Member restocking the yoghurt, I asked. She got a strange look on her face, and motioned me over to her trolley. There were two boxes of tempeh inside, but there was a problem, she confided to me: they didn't contain a UP barcode, thus couldn't be scanned at the checkout. Also, she had no idea where to shelve them, so she was planning to ask for guidance from her Team Captain. I told her I'd usually found them in the soy foods section, near the tofu, but there was no room among the tofu-stuffed shelves. I took two blocks, despite her warning that I might have trouble at the checkout. Who better to establish the price of tempeh than me, I figured? And that's exactly what I did: at the till, the clerk had no idea what it was, or how much it costs. "How much do you think it should cost?" he asked me. I gave a good guess, based on my memory of prices in the States. "£1.49," I said, effectively doubling the U.S. dollar price. He seemed to think that was fair, and so did I. If this is an example of John Mackay's libertarian trade policy, then fine by me. Upstairs is the café, where you can buy recycled sneakers, organic cotton goods, and food and drinks. There's a drinks bar, a sushi bar, and a fake "pub", plus a cafeteria area and a separate line for waffles and crepes. I tried a vegan meal at the cafeteria, and it was delicious. I'm already planning to meet my husband for lunch here one day, when he can help me carry my shopping to the train station. I suspect the grumbling I've read in the papers here is simply sour organic grapes: Face it, Americans do health food much better than the British, despite all the overweight American jokes Brits are so fond of. Paradoxically, Americans are also obsessed with health. The average American health nut can go one-on-one with the average hooked-on-organics Brit and come out the winner every time. So score one big one for the home team. Whole Foods in Kensington is, indeed, quite a store. Wow. AA Gill really, really didn't like Whole Foods, which just opened in Kensington. (You'll have to read past the recipe for books that precedes the review.) I haven't been, so I can't form my own opinion, but I suspect it's an opportunity for all-things-American bashing. ("Extravagance is their birthright.") Go ahead; the British birthright is inedible cake, so there. More American grocery bashing here. Doesn't anyone like this store? Oh wait, this person does. Vegetarians don't have to miss out on barbecue fun. The Truth About Food videos. Yes, spinach can save your eyesight! Pureed baby food is unnatural and may cause health problems later in life. At which point you'll end up on pureed food again. Vegan culinary activism, courtesy of Isa. I echo this: "Cooking like a madwoman is actually what made me vegan and what keeps me vegan." But according to Tana Ramsay, cooking is too intimidating. Blame celebrity chefs. See? There is absolutely no reason why governments can't ban transfats. I wish the UK government would get a clue from NYC and ban them. But then England is just now getting around to banning smoking. I hear that other Gordon on TV. Must go see what the new PM has to say. New! Improved! Now with Indexed Recipes! With incessant rain dampening our plans to go to Greenwich yesterday, I decided to check out TypePad's new feature that allows you to add pages to your blog. It seemed the perfect way to index my recipes, something I've been wanting to do for a long time. Creating a list, sorting it by category, and of course alphabetizing it, was time consuming yet pretty straightforward. However, when I went to check the links, they'd all bunched up, so that clumps of recipes all shared the same link. I'd been alphabetizing and singlespacing, which screwed up the HTML. Trying to untangle it only caused more problems. Now, HTML makes my eyes cross and my mouth emit random curse words, but for you, dear reader, I ventured forth into "Edit HTML" mode. Fortunately my daughter was in the kitchen, making a chocolate raspberry tart, which made it all better. I finally finished around midnight (fortified by tart) and here it is. You can find a link over on the left, under the cow. I haven't checked all the links; if you find one doesn't link to the right recipe, let me know. I'll add new recipes as I go, but for now there are over 100 recipes. Bookmark it for Wednesday Food Blogging one-stop shopping. 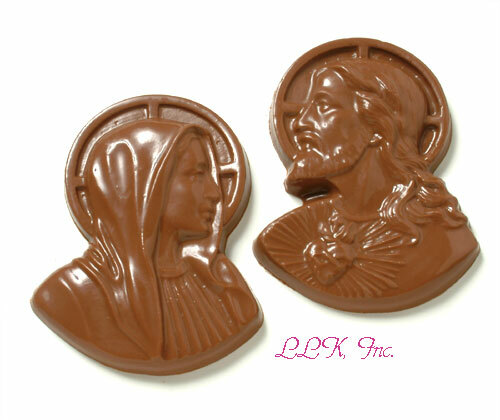 Later I'll index my travel articles, as soon as we have more medicinal chocolate.